This dramedy webseries will premiere in 2018 on ShareTV. Unbeknownst to the crew of a generation ship, their therapy sessions are being broadcast on Earth as a reality show. Welcome to Personal Space. Staring Nicki Clyne and Richard Hatch of Battlestar Galactica. 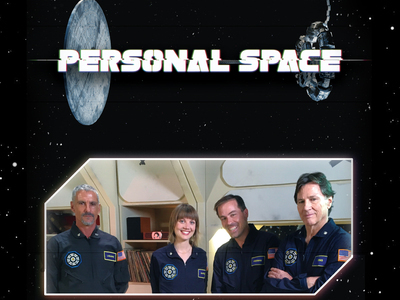 Also Cliff Simon of Stargate SG-1, Tim Russ of Star Trek: Voyager, Kurt Yaeger of Sons of Anarchy, and Brent Bailey of Emma Approved. Mark Tierno, the star of SyFy’s The Mercury Men, has an appearance as Wernher von Braun.